We would like to thank Gili Haimovich for editing and commissioning the work that has been featured in this issue. You won’t remember anything about tonight. until you calmed down and fell asleep. You won’t remember anything of all this. lurking around the corner to attack. like a schoolboy at the blackboard, trembling, empty of an answer. on such and such a street helpless hallucinating. I get up at all. Eli Eliahu majored in Jewish philosophy and Hebrew literature. 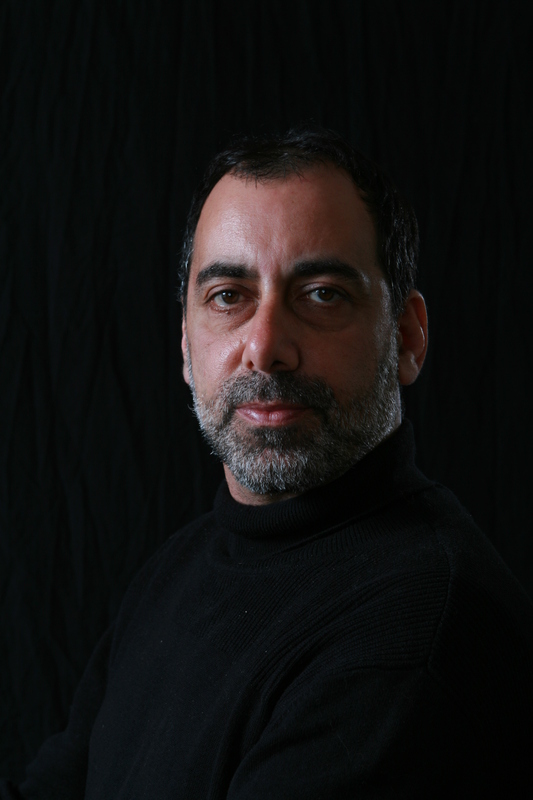 He Works at Haaretz daily newspaper as a copy-editor and a reviewer of poetry and culture. He published two books: I, and not an angel (Helicon, 2008), which was awarded the Education and culture ministry prize for debut books, and City and Fears (Am Oved, 2012). In 2013 he was awarded the Matanel price for Jewish poet. 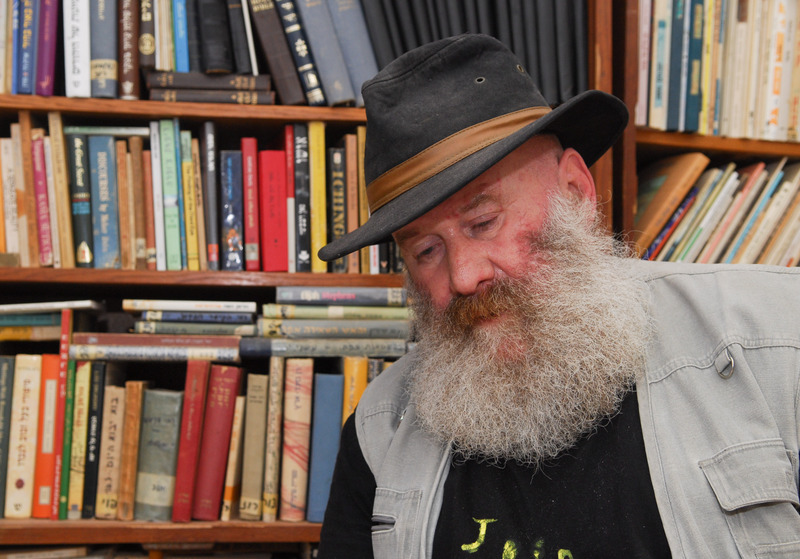 In 2014 he was awarded the Prime Minister Price for literature. His poems were translated into English, French, Arabic, German and Turkish. but how can love be words. Love like ours is a touch. there isn’t the same surprising relief. in love, with surprising relief. a sort of upgrade in the quality of life. in order to care for you. The secrecy doesn’t make me glamorous. even from my own rage. Only the thread of the line on the page holds me. If I drop the pen I’ll fall on what’s written here. who hangs with his mighty hands on a cliff over an abyss. I, though, am not brawny. punctures in the tear ducts. And it’s impossible, you’re just unable, to be afraid with someone else. after all you were born in Jerusalem. you can’t tell if yours was different. Gili Haimovich is a poet and translator in both Hebrew and English. She is the author of two poetry chapbooks in English, Sideways Roots (Kimchi Press, 2017) and Living on a Blank Page (Blue Angel Press, 2008) and six volumes of poetry in Hebrew. She was awarded as an outstanding artist by the Ministry of Immigrant Absorption (Israel, 2015), a finalist of the international poetry competition of Europa in Versi in Italy and both of her last books, Landing Lights (Iton 77 books, 2017) and Baby Girl (Emda Publishers, 2014) won grants from the Acum association in addition to other international and national grants and prizes. She also works as a therapist and educator of creative writing and had background in visual arts. the calls are sharp, clear and poignant. and won’t give anything in return for it either. Maya Weinberg is the 2017 winner of Israel’s eco-poetry prize, Clil. She is a graduated of the Helicon Poetry School, 2011, and her poetry is publishes in different platforms and journals as well as in English journals. Her First book, Open Landscape, came out in 2015 and her second is forthcoming. Maya works as a veterinary doctor and a bat researcher in the Zoology Department of the Tel Aviv University. with a belt on your open palms if you came home late. an item of clothing, a little caress). between the hard hand and the soft cheek. This required no particular reason. They came from over there, from the forests. You had to forgive. to carry a bit of it in your lunchbox. one placed on top of the other. Nothing in between. (Hair in two thick black braids secured with white ribbons. A pale pink shirt, long sleeves. A pleated blue skirt, starched up to knee-length. Flesh-colored wool stockings, a hole near the left heel. Polished pumps with bows. Always holding something: a doll taller than you / an apple gnawed to the core / your sister’s tiny hand / the curtain’s edge. Large eyes of darkest brown. Almost black. Damp, heavy lashes. A small mouth shaped like a kiss. Thin, delicate breath. A long nose). You must always be tidy. Everything surrounded and dirty and broken. Anat Levin is poet, writer, editor and a creative writing teacher. Her debut book, Revolving Anna (2008) won the Ministry of Culture Award for Poetry. Her second collection of poetry Mouth to Mouth (2013) won the Acum (The Israeli Society for Authors and Musicians) prize and was a recipient of an award from The Rabinovich Tel Aviv Fund for Translation which enabled its translation into English and German. Her poems were also translated into Arabic, Spanish, Russian and Romanian. Levin’s first novel, The Archivist, was published in August 2016.
and width of their loneliness. like gloves from a coat pocket. Nadia Adina Rose was born in Moscow and came to Israel at age 22. She is a graduate of the Art College in Moscow, the Art Department of The Bezalel Academy of Art and Design in Jerusalem, and has a Master’s Degree in Art from the Beit Berl College. She is a multi-disciplinary artist who works with sculpture, painting, book illustration as well as poetry. Her first book, Snow Ink, (Helicon-Afik Publications, 2015) was awarded the Minister of Culture Award for Emerging Poets. is called a ‘death’s head’. Since I didn’t show any signs that I knew how to read no one paid attention when I began to write. Neither of them was fluent in the language. He read only Polish. This was convenient because they both died without reading a line of what I wrote. Mother died during the Moscow Olympics. Father died during the Olympics in Los Angeles, and because I stayed awake, I suddenly had something to talk about to the men I met in the morning. My sister tried to break out of her grave during the Barcelona Olympics, the only death that nearly did me in. When everyone was gone and there was no one left to play with, I simply sat on the edge of the sidewalk until a neighbor called my mother and said: hey, your daughter’s nearly been run over, and my mother shouted at her and called her a liar. in the third person. Another failure won’t get in my way. Shulamit Apfel is an Israeli poet who was born in Cyprus. She has seven volumes of poetry in Hebrew. Her Poems are included in anthologies translated into English, Italian, Russian and Croatian. She won The Prime Minister Award on 1987 and 2013, the Kugel Prize for Literature for her book Distance (1982) and the Ramat Gan Literature Prize for her sixth book, And Nothing but the Truth (2012). or the way the blind albatross navigates. Oded Peled is a poet, translator and editor. He was born in Haifa, Israel, in 1950. He studied Political Science and English Literature at Haifa University. Peled has published 15 volumes of poetry. He received The Minister of Education prize for translators , the Prime Minister prize for Hebrew writers (1997, 2007), and the Arik Einstein prize for veteran artists (2016). Sabina Messeg writes poetry for adults as well as children, under the pseudonym Adula. She is the author of thirty books and the recipient of several literary prizes and honors. She is one of the eco-poetry pioneers in Israel, and has a weekly column about it in the Haarez daily newspaper. She had translated poetry from English, French and Norwegian, including large selections of Ted Hughes and Sylvia Plath. Where were you when inverse value was taught? Through you I elaborated the transparent. Enchanting, the wall using the head. My field of expertise is worrying. The rental bikes bother me. Does anyone check on them every night? Obviously the world is missing a checker. And how to erase the number from my hand. Tell me, she asked, what shall I claim on your behalf? I had nothing to say except that I’ve been left. reborn every morning amid the leaves. it immediately get stamped with what rain and sob can’t erase. ring, even the dead participate. That I actually grew for her sake. Clearly she landed here by mistake. The cabbages and roses adorned in trampled gowns. And offered my head for her to land on. Samson, Absalom, I understood you so well. Fire or Water. Air, I might reply. For perhaps that’s what we form each other from. a door, a table, even a dog like we had. that’s what living’s called, I believe. even alchemists attempt to turn bone into gold. atom as being the strongest element. Nurit Zarchi is a one of Israel’s leading authors who published books for both adults and children. She has published novels, short stories, poetry, collections of essays and over 100 books for children. 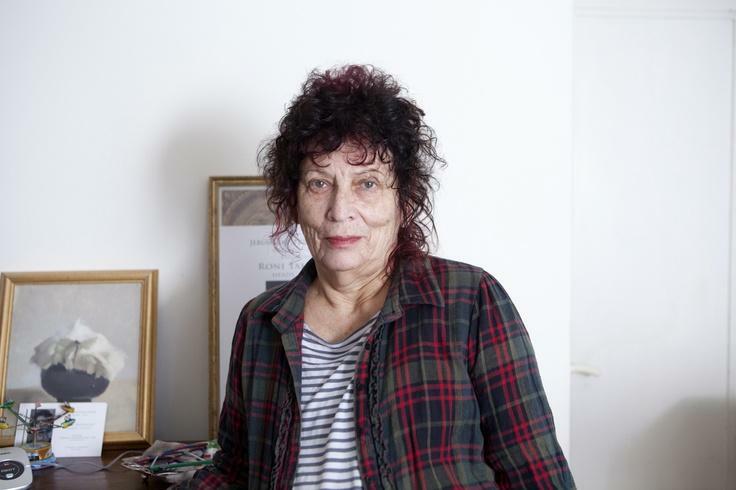 She has received every major Israeli literary award for poetry as well as for children literature as well as for her poetry, including the Prime Minister’s Prize twice (1980; 1991), the Ze’ev Prize (five times), four IBBY Honor Citations (1980; 1984; 1998; 2004), the Education Minister’s Prize for Lifetime Achievement (2005) and the Devorah Omer Prize for Lifetime Achievement (2014). Gili Haimovich is the author of six poetry books in Hebrew and two chapbooks in English, Sideways Roots (Kimchi Press, 2017) and Living on a Blank Page (Blue Angel Press, 2008). 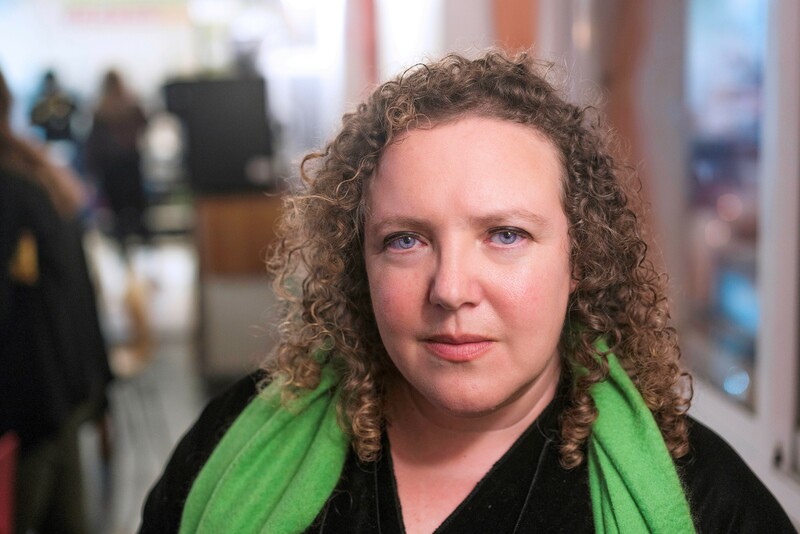 Her poetry and translations appear in numerous worldwide journals and anthologies such as Poetry International, Asymptote, Poem Magazine, LRC – Literary Review of Canada, Drain and Launch Ticket as well as Israeli ones. Her full length translations include poems of the laureate Israeli author Nurit Zarchi and the American poet Michael Dickel among others. She was awarded as an outstanding artist by the Ministry of Immigrant Absorption ( 2015) and received several grants and nominations for her work. Aura Hammer was born in New York in 1957. She immigrated to Israel in 1973. She studied architecture at the Technion in Haifa and worked many years as an architect. Today she works as a sustainability educator and council circle facilitator. Karen Alkalay-Gut is Professor Emeritus at Tel Aviv University and has written about poetry in numerous forms, cultures and historical contexts, as well as a biography of Adelaide Crapsey. The third disk of “Panic Ensemble” with her lyrics will be released in 2018 in Berlin, her ninth book of poetry in Hebrew, “Ways to Love,” is due to appear shortly, and she has numerous books in English as well as a volume of her poems in Italian. Her translations from Hebrew and Yiddish have appeared in numerous literary journals and anthologies. Becka Mara McKay teaches translation and creative writing at Florida Atlantic University. She has an MFA in creative writing from the University of Washington and an MFA in literary translation from the University of Iowa, where she also received a PhD in comparative literature. Her first book of poems, A Meteorologist in the Promised Land, was published by Shearsman Books in 2010. She has received awards and grants from the Seattle Arts Commission and the American Literary Translators Association, and a Witter Byner Poetry Translation Residency. 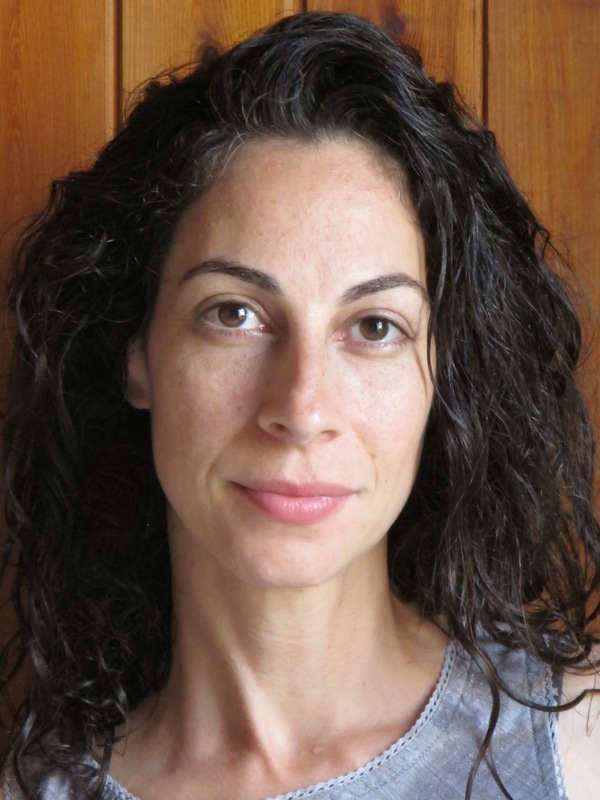 Yardenne Greenspan has an MFA in fiction and translation from Columbia University. In 2011 she received the American Literary Translators’ Association Fellowship. 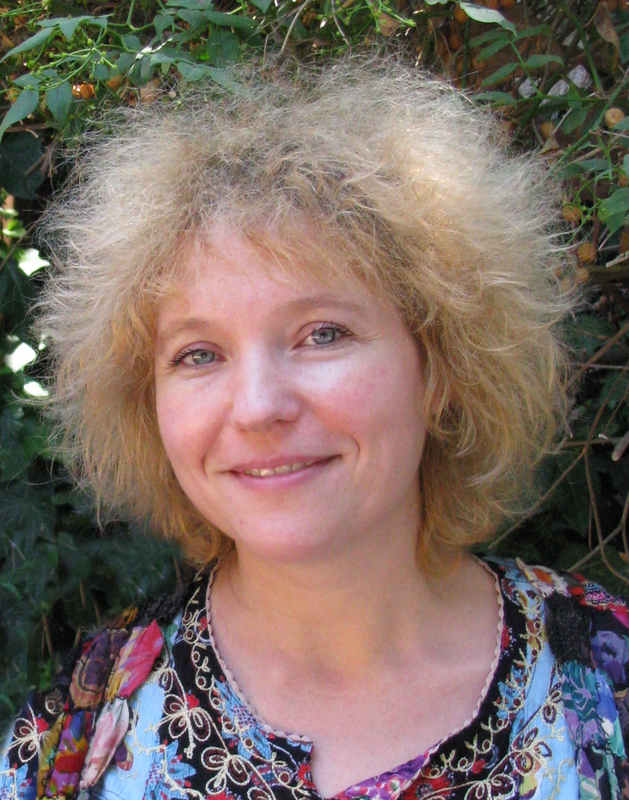 Her translation of Some Day, by Shemi Zarhin, was chosen for World Literature Today’s 2013 list of notable translations. Her other full-length translations include Tel Aviv Noir, edited by Etgar Keret and Assaf Gavron (Akashic Books), and Alexandrian Summer by Yitzhak Gormezano Goren (New Vessel Press). Yardenne’s writing and translations can be found in The New Yorker, Haaretz, Guernica, Words without Borders, and Asymptote, among other publications. 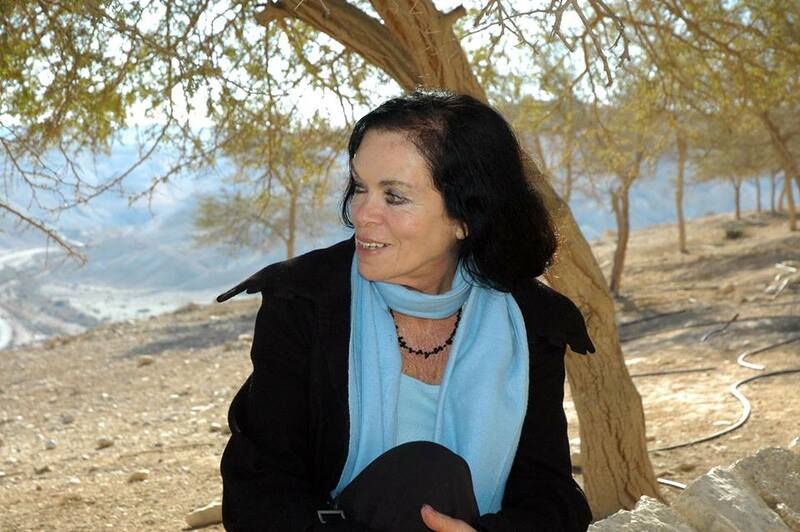 Irit Sela is the co-founder of the Helicon ­Society for the Advancement of Poetry in Israel and a poetry translator. She also teaches a method of reading poetry on stage developed bu her and published a book about it in Israel, 2016. In her own artistic practice, she is multi-disciplinary artist who works in the theater as a producer, director and a stage manager. She is a graduate of the Theater Department of the Tel Aviv University with an M.A. in Literature. Linda Stern Zisquit has published five volumes of poetry, most recently Return from Elsewhere (co-winner Outriders Poetry Project, 2014). 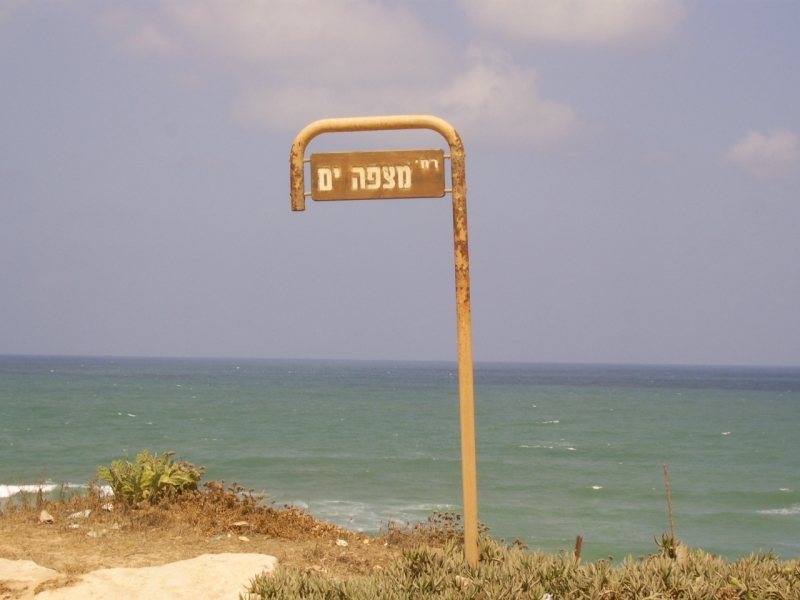 Her translations from Hebrew poetry include These Mountains: Selected Poems of Rivka Miriam (2010), Let the Words: Selected Poems of Yona Wallach (2006), and Wild Light: Selected Poems of Yona Wallach (1997). Born in Buffalo, NY, Zisquit lives in Jerusalem where she runs Artspace Gallery representing contemporary local artists. 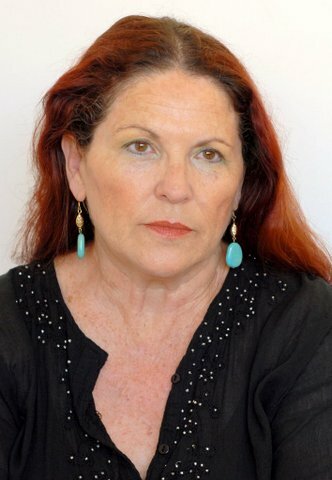 She is Associate Professor and Poetry Coordinator for the MA in Creative Writing Program at Bar Ilan University. Lisa Katz, translator-in-residence at the University of Iowa MFA program in Fall of 2017 and the Israeli editor of the Poetry International web (Rotterdam): http://www.poetryinternationalweb.net/pi/site/country/recent_list/12. Her most recent translation: Late Beauty: a bilingual selection of the poetry of Tuvia Ruebner (Zephyr 2017). She is the author of a chapbook, Are You With Me, Finishing Line (2016) and Reconstruction, a volume of her poetry in Hebrew translation, (Am Oved, 2008). Vivian Eden, is a doctorate in comparative literature with a specialty in translation from the University of Iowa. 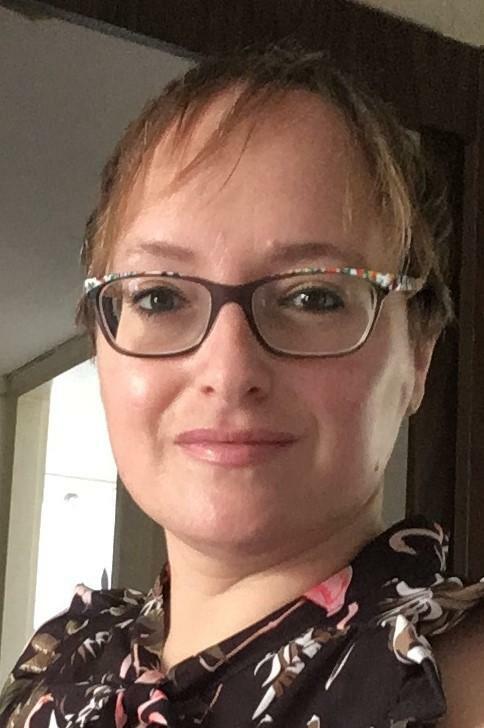 She is on the staff of the daily newspaper Haaretz in its English edition, a joint venture of the newspaper with the International Herald Tribune. Her poetry, translations, stories, reviews, columns and articles have been published in the United States, Israel, Britain, Germany and elsewhere. Among her full-length prose translations are “Arabesques” by Anton Shammas (Harper & Row, 1988) and “Bethlehem Road Murder” by Batya Gur (HarperCollins, 2004). Dara Barnat is the author of the poetry collection In the Absence (Turning Point, 2016). Her poetry and translations appear in The Cortland Review, diode, Poet Lore, Lilith, World Literature Today, and elsewhere. Essays appear in Walt Whitman Quarterly Review, Studies in American Jewish Literature, Los Angeles Review of Books, Poet Lore, and elsewhere. Dara holds a Ph.D. from Tel Aviv University, where she is currently Writing Director in the Department of English and American Studies. Her work can be found at darabarnat.com.